These analysts, who regularly report that New Energy infrastructure is not built up enough to warrant consideration and then ignore infrastructure construction, take “energy” to be synonymous with “oil” and acknowledge that unforeseeable international events play a major role in price fluctuations although they generally do not see turns in events for the worse. Chris Weafer, chief strategist, Russian investment bank UralSib, commenting on the circumstances in the Middle East that might affect energy prices: "It’s reasonable to assume that the same level of tensions will remain but not get any worse…"
Note from NewEnergyNews to Mr. Weafer: The Middle East is where reasonable assumptions go to die horrible deaths. As long as oil prices remain this high, even the misguided policy of the U.S. leadership cannot stop the phenomenal growth of New Energy (See MARKET PICKS WIND ENERGY FOR FUTURE) for the very reasons that keep oil prices high. This summary of energy expectations for 2008 sees oil prices dipping but not dropping. Oil prices in 2008 are not expected to be as high as they were in 2007 nor as low as they were in 2006 and before. From the near-$100 level, the drop is thought to be in the range of $10 to $15. UralSib is in Moscow. Seven Investment Management is in London. Centre for Global Energy Studies is in London. - The base price of oil is thought to have stabilized in the $70 to $80 level. - The overall downward pressure on prices in the world economy is expected to be the controlling factor in oil’s drop in price. - In addition to the generally slowing economy, the increasing demand for energy is expected to drive higher oil exploration activity and increased production of all other energies which will result eventually in more supply and a downward pressure in price. - OPEC’s actions may affect price but it is not clear whether the organization will respond to the slowing worldwide economy. 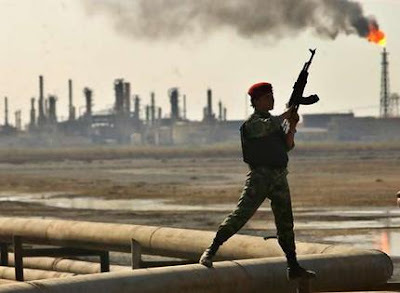 - Geopolitical factors, including the tensions in the US presidential election and tensions inside Russia as the Putin government becomes the Medvedev government and tensions between Iran and the rest of the world, may represent a $10 to $15 premium in the oil price. - Medvedev, presently GazProm’s chairman, is expected to take a particular interest in energy relations between Russia and Europe, a business relationship that could affect the worldwide natural gas market. - Justin Urquhart Stewart, director, Seven Investment Management: "We may see a slowdown in the price of oil. The reason being is not just because we are going to see a slowdown in the US economy, but once you start seeing some of that movement ... it will take some of the speculative bubble out, which is probably around 15 dollars at the moment…"
- Chris Weafer, chief strategist, UralSib: "The world economy can live with 100 dollar oil for sure…It looks like at least for the next year or two we will have a high oil price environment that looks sustainable…We are definitely looking for a higher price somewhere toward 80-90 dollars average next year rather than back to 50." - Manouchehr Takin, Centre for Global Energy Studies (CGES): "Overall in 2008 we are going to have an overall downward pressure on the price of oil and depending on the OPEC policy on production management this decline may be steep or controlled. I don’t think they will let it go down much lower than 80 dollars or 70 dollars a barrel…Many would argue that the countries are so dependant on oil revenues they will try to keep the oil price high…"
- Weafer, UralSib: "It will be a lot easier for Europe to sit down with Medvedev to talk about resolving these issues without having the ghost of the Cold War hanging over them…There is good chance to clean house with Medvedev coming in, forget the old energy charter and start with a new one." 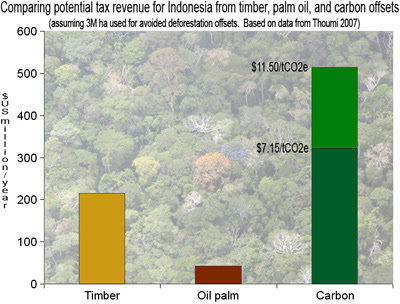 ROUNDTABLE ON SUSTAINABLE PALM OIL: WILL IT SAVE RAINFORESTS? Biofuels is one of the hottest words in the New Energy lexicon right now. 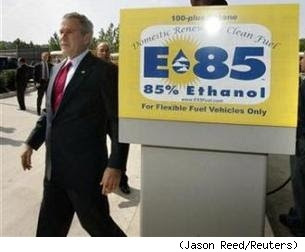 The U.S. Congress ended 2007 by providing a huge subsidy for the development of biofuels. And a major accomplishment of the recent Bali summit on climate change was world leaders’ first steps toward incentivizing the protection of rainforests being destroyed for biofuels. Biofuels come from two sources: Growing things and waste (and the waste ultimately comes from growing things, of course). Thus, biofuels represent a serious threat to the precious and dwindling tropical rainforests. 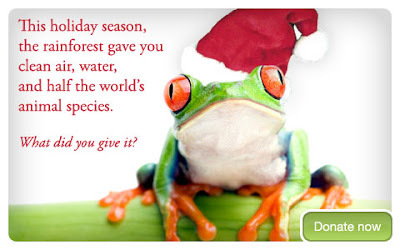 They turn the forests into multiple sources of enormous wealth. Rainforest lumber is highly valued. The rest of the forest can be used as waste biomass (or just burned). Finally, the cleared land can be turned into palm plantations. The palms grow like weeds and the palm oil is harvested and sold to biofuels refiners. Demand for biofuels is rising off the charts all over Asia, making Indonesian and Malaysian rainforests ideally located for plantations. (See FINLAND/SINGAPORE IN SUSTAINABLE BIODIESEL DEAL) Vast swaths of rainforest are disappearing literally DAILY, becoming palm plantations owned by the very few and very rich while multitudes of human, animal and vegetable species are disappearing with the forests’ biodiversity. Is it that? Or is it a front behind which huge corporate entities and rainforest rapists can hide? Rainforest Action Network (RAN), which considers WWF more “middle-of-the-road” when it comes to safeguarding tropical rainforests, is worried. Brihannala C. Morgan, Rainforest Agribusiness Campaigner for RAN says that under current RSPO rules the certification unit is the mill. A company can obtain certification by having a few mills approved by RSPO. There would then be no restrictions on any other of the company’s mills. Huge current demand in India, China and the rest of Asia’s emerging economies will inevitably drive the development of the cheapest mills, run by unsustainable practices. Here is a brief of Morgan’s report from the most recent RSPO meeting. NewEnergyNews has obtained a brief first-hand report on the 5th RSPO meeting from Brihannala C. Morgan of RAN. - Morgan pointed out that RAN is not a member of the RSPO and does not plan to become a member but took part in the RSPO meeting in support of RAN’s partners SawitWatch and Forest Peoples’ Project. (1) There needs to be a “formal…accessible” way for smaller participants to express concerns. The people on the ground, in the forests, need to be able to voice complaints, be heard and play an active role deciding which companies’ practices deserve certification. (2) There need to be concrete principles and criteria to directly limit deforestation rates and prevent the indiscriminate use of fire for clearing the land (a major contribution to smog/greenhouse gas emissions). From Hong Kong, one of the strangest of the strange wind energy ideas. And yet - they remain strange only if they don't prove efficient. A regular televison feature, this GREEN REPORT takes a quick look at how a grocery store gets "green" certification. 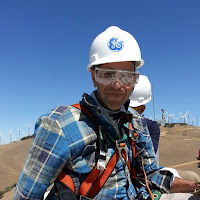 The substance of New Energy is the men and women in the solar, wind and marine energy industries who get out on rooftops or stand up the turbines or ride out on the waves. This action is a long way from where most Venture Capitalists (VCs) played during the digital revolution. If they do not understand the time frame for the bets they are making, the VCs may be in over their heads in their enthusiasm for “CleanTech” despite this survey predicting big investment in the coming year. IPOs have generally not been what the VCs were used to during the glory days of the digital revolution when something could happen on the desk of an electrical engineer and quickly make its way to a voracious marketplace. The market is hungry for New Energy, there is no doubt of that. And there is a desperate need to do more with wind and sun and wave, to make them more efficient, to lower the cost per watt and increase the watts/hour. Little of this is going to happen for the VCs the way it did in the 90s. Those who understand the time frame they are dealing with will succeed in the long term because in the long term anybody who owns clean energy owns the most valuable commodity in the world. Those who don’t have the patience to let their bets pay off will lose short term and go looking for the Next New Thing. 79.5% of 170 VCs surveyed by the NVCA expect investment in “CleanTech” to increase in 2008. 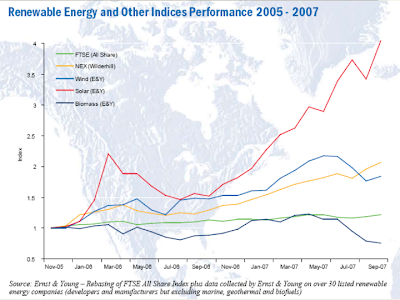 Investment in CleanTech grew to a record $2.6 billion in the first 3 quarters of 2007. 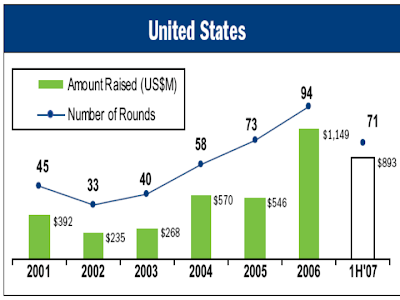 CleanTech investment topped out at $1.8 billion in 2006. CleanTech, the favored acronym for New Energy and New Energy technologies in Silicon Valley and other digital revolution centers. This report comes from North Carolina’s influential Research Triangle Park. - According to 61% or respondents, there is concern the CleanTech sector is presently overvalued. This may be because the emphasis is on breakthrough technologies, while actual wind, solar and even marine energy installations are still expanding faster than ever. - 71.3% of VCs expect total investing to be in the $20 to $30 billion dollar range. - 12% of VCs predict CleanTech investment will decrease. 8.4% expect investment to level off. Just over half expect increased media, biotech or Internet investing. Some thought Internet and biotech investing would be flat. Many thought semiconductor, software and wireless tech investing would decline. 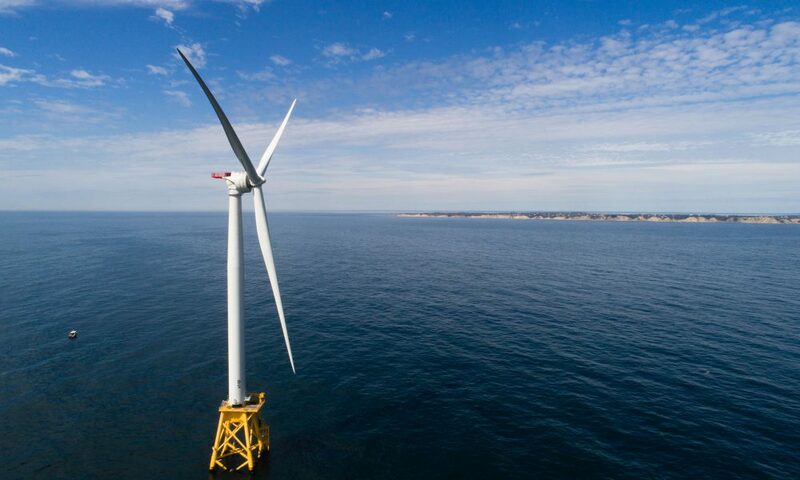 In its “reference case scenario” (also described as “business as usual”), the Department of Energy (DOE)’s Energy Information Administration (EIA)’s projection for wind energy’s growth does not include ANY offshore development. ZERO. EIA also projects no production from marine energies, even as the Interior Department is granting permits to prove the technologies. 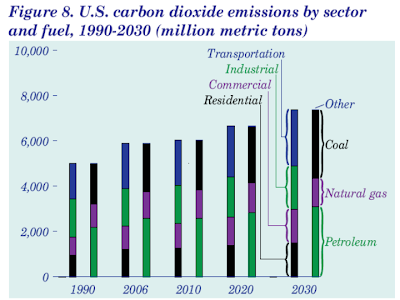 Considering the facts of Peak Oil and climate change, there is likely to be no “business as usual.” Therefore, the large increases foreseen for New Energy in EIA’s fossil fuel-oriented projections underestimate, probably quite grossly, the amount of New Energy coming and the capacity of New Energy to remake the world. 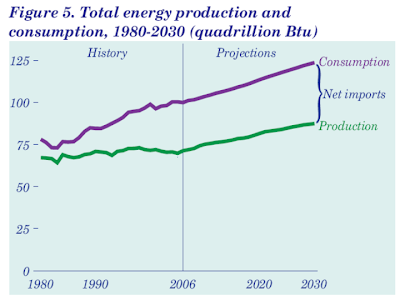 Considering the widening gap between U.S. consumption and production, the demand for New Energy will drive production and when national leaders finally understand how important supportive polices can be (after the changing of the guard in the fall of 2008), New Energy will likely explode. 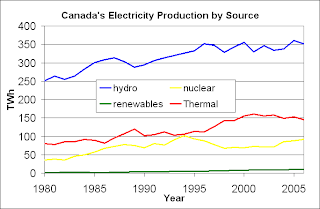 - 2007: EIA predicted 9.9 quadrillion British Thermal Unit (Btu) equivalents (quads) of New Energy by 2030. 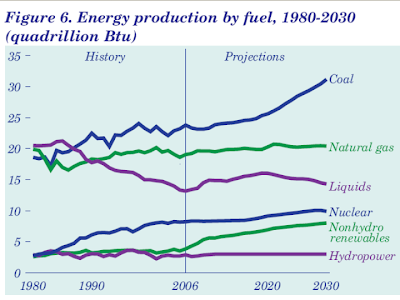 - 2008: EIA predicts 12.2 quads of New Energy by 2030. This preliminary report describes only reference case (“business as usual”) scenarios. A full report, describing alternative scenarios, is expected in early 2008. - Hydropower (2.89 quads in 2006) will expand to 3 quads in 2015 and then level off. 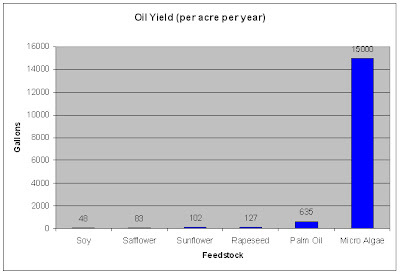 - Biomass (2.97 quads in 2006) will increase to 5.52 quads in 2030 (up 86%). 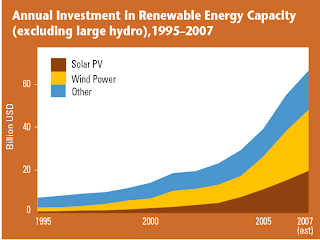 - "Other” renewables (0.88 quads in 2006) triple to 2.49 quads in 2030. 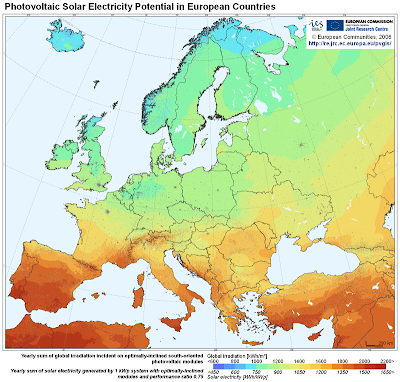 - There will be huge jumps in the use of New Energy for electricity production: geothermal power will be up 88.4% by 2030, biomass will be up 900%, solar thermal will be up 400%, grid-connected solar energy will be up 7300% (! 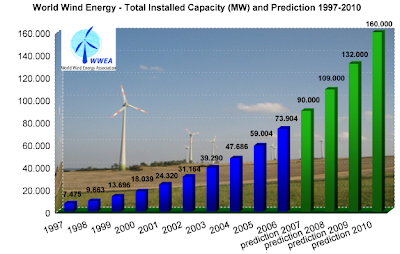 ), wind power will be up 500% and biofuels, 0.5 quads in 2006, will be up 400% to 1.87 quads in 2030. - EIA projects a 1.3% increase in electricity consumption due to increasing dependence on electronic devices. - Due to rising production costs, EIA projects higher oil prices short term followed by a decline to $58/barrel by 2016 and then rising prices through 2030. 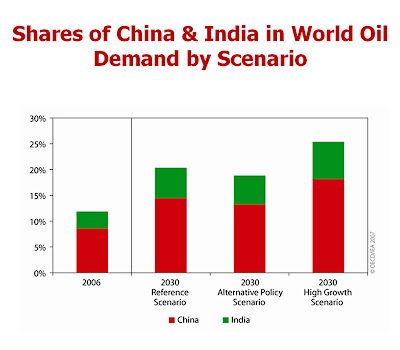 China is expected to dominate the 2008 race for resources between the emerging giants. Victor Shum, analyst: "The Chinese go after their targets more aggressively and faster…"
He Jun, analyst: "[China produces] a lot of goods for the world and needs a lot of energy to do this…This is an unstoppable trend." China’s oil consumption, up 5 to 10% per year since 2002, is frequently cited as a major factor in the rise of oil prices internationally. India’s consumption is not yet considered a driving force. What IS a driving force is the desire of an emerging middle class all over Asia and in once lagging economies in Europe to live the lifestyle Americans take for granted. It is a lifestyle that demands a lot of oil. As the price of oil rises, the price of New Energy becomes more competitive. 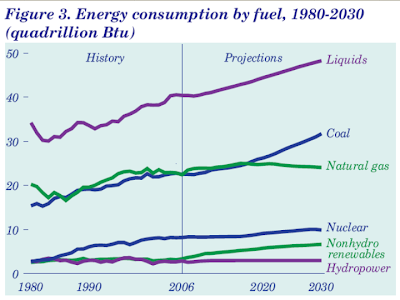 And as more Old Energy gets consumed, the demand for more New Energy grows. 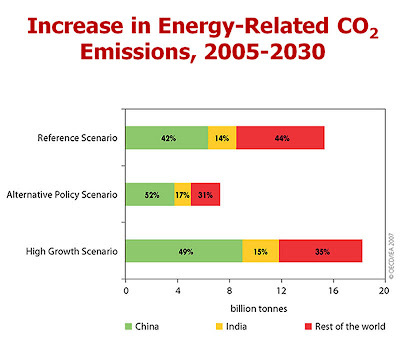 The emerging economies of China and India will continue to drive world energy markets. China is predicted to dominate. - Predictions are for 2008. - India made gestures toward cooperation with China in 2005 but the efforts got nowhere in the context of a historic mutual suspicion. - China has been and is expected to be more effective than India at capturing energy supplies in Asia, Africa and Latin America. - India is not giving in. - India's democratic political system slows state-owned Oil and Natural Gas Corp (ONGC). - China used 7.16 million barrels/day in 2006 and demand is expected to exceed the US after 2010. It imports half its oil consumption. - India consumes 2.45 million barrels/day and imports 70%. - China is also outspending India. State-owned China National Petroleum Company (CNPC) invested 45 billion dollars in new energy sources between 2000 and 2005. ONGC spent 3.5 billion dollars. - China has been especially effective in obtaining Central Asian ex-Soviet oil and gas despite the Indian/Soviet Cold War alliance. India’s links with the new Russia have been complicated by its recent closeness to the US. - India has been stepping up diplomatic, trade and spending efforts to win over allies in Africa. - ONGC has won exploration rights in Sudan, Nigeria, Libya, Algeria and Egypt since 2004. But China has built roads, railways and petrochemical installations in Africa and has a dominating position. President Hu Jintao has made 3 African visits in less than 3 years. - Bedi, on India’s efforts: "But India is stepping up its pace…Indian decision-making is a little slower, China has a command economy so it's more efficient, they're not accountable to parliament... they just do it…"
- Bedi, on Africa: "The Chinese have gone after the African market big-time, pumping in huge amounts…India just doesn't have that combination of flamboyance and aggression." 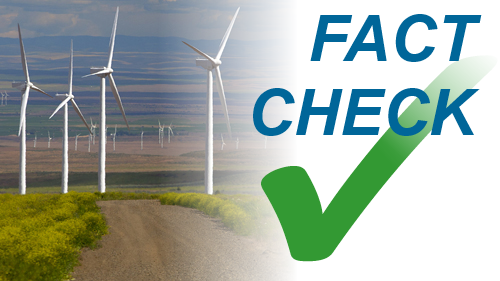 MARKET PICKS WIND ENERGY FOR FUTURE: 30% PER YEAR GROWTH! 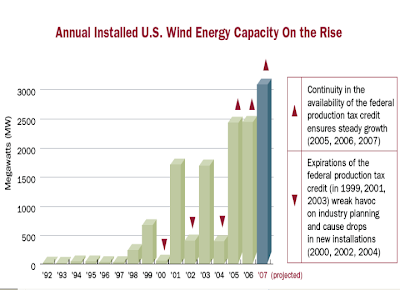 2007 was a year of record breaking growth for the wind energy industry. Energy market analysts expect the boom to continue into the foreseeable future. 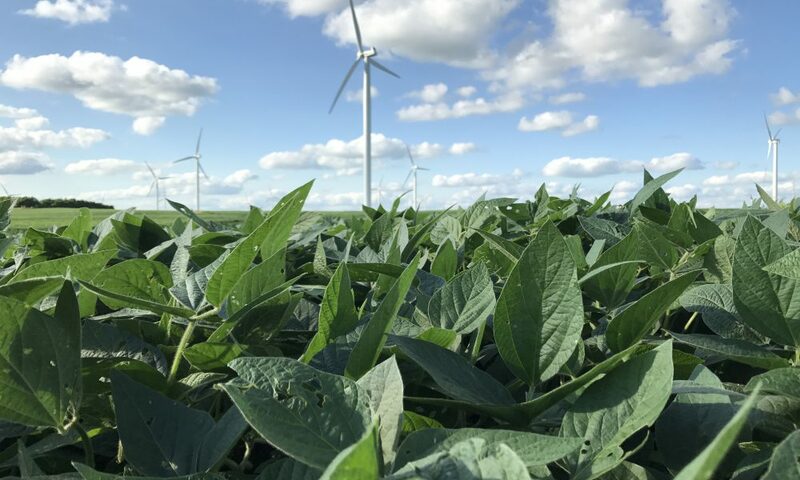 Despite the disappointment of a new energy bill without incentives for New Energy, the people who buy power cannot resist the inherent logic of wind energy when they compare it to their other options. Even the disappointment of a national leadership too shortsighted to invest in New Energy has an upside. 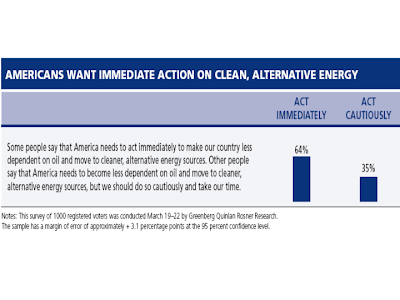 The American people have repeatedly expressed their overwhelming preference for a national policy to support the pioneers of New Energy with Production Tax Credits and Investment Tax Credits. If Congress doesn't provide funding, members will likely be looking for work in the private sector after the fall elections. 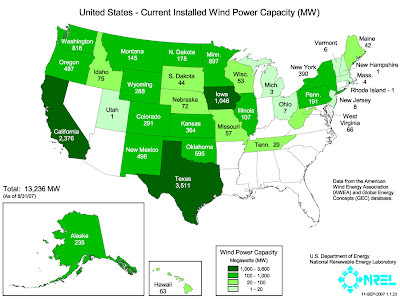 A Deutsche Bank analysis reports the US wind energy market will grow 30% every year and become one of the 3 fastest growing energy markets in the world. - The report was released December 5. 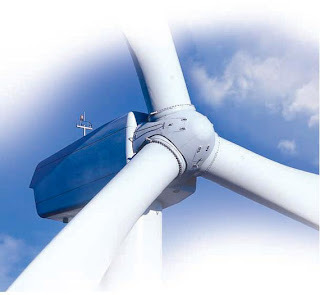 - Wind energy’s growth of 30% annually is expected to continue through 2015. According to the report, the US, India and China will become the 3 biggest wind energy markets in the world, supplanting Europe, which is currently the leader. - Deutsche Bank found that both entry level and takeover activity were growing and speculated that a new level of consolidation may be beginning. - Deutsche Bank issued a “buy” for GE Energy, the biggest turbine manufacturer in the US and one of the biggest in the world. Investology added Nacel Energy, a Wyoming wind energy developer, to its covered investments. Wingfield picks his Big Trend, Unconventional Wisdom, Misplaced Assumption, Watch List and Bold Prediction for the year. Unconventional Wisdom: Coal is inescapable and, therefore, “clean” coal (carbon-capture-and-sequestration, CCS) technologies will grow. Nuclear will also grow. 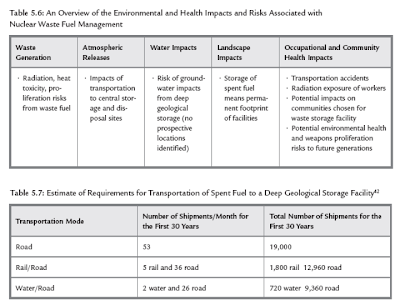 Federal regulators expect applications for 32 new plants by 2009. Big Trend: Climate change. With a Democrat expected to win in the White House, a New Energy energy policy will follow. Cap-and-trade will be included, capping emissions and creating a trading scheme. As a result, New Energy will boom. - Misplaced Assumption: Ethanol can keep oil prices down. (It can’t.) Expect corn ethanol to drive corn prices up and that will drive other food prices up. Only significant increases in oil supply (not expected) or decreases in oil demand will lower gas prices. High prices could curb demand. - Watch List: (1) Energy Future Holdings Corp. is the new face of TXU plus Luminant Energy and it is going into new energy bigtime, just at the right time. (2) PetroChina is China's biggest oil and gas producer and, with China’s voracious energy appetite, a recent drop in stock price after an IPO is not indicative of value. (3) VeraSun Energy just merged with U.S. BioEnergy and will become biggest ethanol producer in the US just when the energy bill incentivizes biofuels. 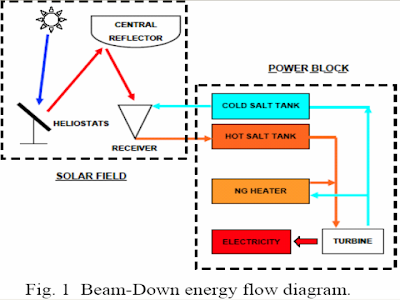 Solar thermal is a type of concentrating solar technology in which parabolic mirrors gather solar energy and focus it on a liquid running through the mirror array in a tube. The liquid carries the heat to a boiler where water turned to steam drives a turbine. 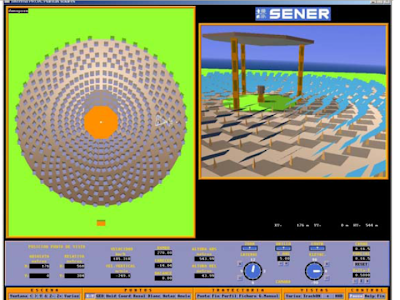 In a variation of solar thermal, a power tower surrounded by sun-tracking mirrors has sunlight magnified and focused on it. The temperature at the focal point is yet higher than in the parabolic solar array. These solar thermal processes are more efficient than photovoltaic solar, the process by which sulight is turned directly into electricity by photovoltaic panels. Plants as big as conventional power facilities can be built in sunny areas (like Abu Dhabi). An even bigger advantage for soalr thermal is that either the heat or the steam can be stored, allowing solar energy to be generated at night. In the solar concentration off tower (SCOT) concept of Tokyo Institute of Technology’s Professor Yutaka Tamaura that will be tested in Masdar, Abu Dhabi’s groundbreaking zero-carbon city, mirrors send the sunlight up to a concentrator that then reflects it back to a ground collector which heats the liquid to make the steam to drive the turbine. This supposedly results in the highest megawatt potential for solar energy generation. The most admirable thing about Masdar and Dr. Sultan Al Jaber, its CEO, is that they know the only way to prove it is to do it and they are. Masdar, Cosmo Oil and the Tokyo Institute have agreed to work jointly on “beam-down” solar thermal energy. They will fund research and share scientific information. The joint project contract was signed December 16. - Masdar is the multi-billion dollar zero-carbon city being built in Abu Dhabi, home to a cutting edge Research Institute (see OIL MONEY TO BUILD GREEN CITY). - The Masdar Research Institute has international energy research and alternative energy industry partners that include the German Aerospace Centre (DLR), Germany's Aachen University, the Imperial College London, Columbia University in New York, the University of Waterloo in Canada, CIEMAT in Spain and the Tokyo Institute of Technology. - Cosmo Oil is based in Japan, home to the Tokyo Institute. - Masdar and Cosmo will each invest several million dollars in “beam-down” research. 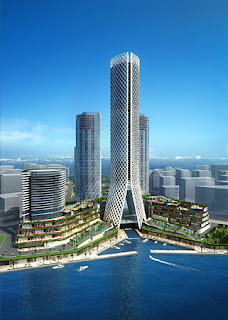 - The project will be overseen by the Masdar Research Network. - A 100kW beam-down pilot plant will be built in Abu Dhabi by the end of 2008. - Masdar Research Network is developing a variety of solar energy, water technology and carbon management projects in support of the remarkable zero-carbon city under construction. Brian Dames, executive with South Africa’s state utility Eskom, faces the same dilemma other utility executives face but, perhaps, more urgently because his country has already begun experiencing power outages. His first concern? Emissions. Shouldn’t he be worrying about getting the lights on, damn the emissions? He doesn’t think so: "The big driver for us is the fact that we need to hedge our CO2. You cannot assume that we are going to be in a future where CO2 penalties will not come into play, so we now have to start responding to that." South Africa has been experiencing electricity outages and state utility Eskom predicts they will continue for years. - Eskom foresees the power shortage to last at least 7 years. - Wind and solar power are being planned. - Eskom will submit a proposal for a new nuclear plant in 2008. Environmental assessments, public outreach and nuclear licensing applkications have begun. - Eskom is planning a 100 megawatt wind farm on the Atlantic West Coast. - A solar generating pilot project planned in the remote Northern Cape. - South Africa has 1 nuclear facility at Koeberg, near Cape Town. - Eskom contends solar and wind power can only ever meet a fraction of the nation's needs and they will require coal or nuclear facilities as back-up. He points out that the planned Atlantic coast 100 megawatt wind farm will only generate power 26% of the time. - The company has a planned solar energy installation and advocates solar water heating. - Environmentalists want more development of New Energy and cite a study showing South Africa has resources to obtain 13% to 20% of its electricity from New Energy by 2020 and 70% by 2050. - South Africa currently gets 88% of its energy generation from coal. Eskom wants to cut that to 70% over 2 decades. - South Africa presently gets 6% of its power from its nuclear facility. Eskom contends a 2nd nuclear facility is a better choice than more coal. - On New Energy -- Richard Worthington, spokesman, Earthlife Africa: "From an environmental perspective the use of fossil fuels and uranium is all bad news…The idea that we still using electricity to heat water when we have heat beating down on our houses ... it's just insane." - On New Energy -- Dames, Eskom: "Renewables are expensive, we all know that. 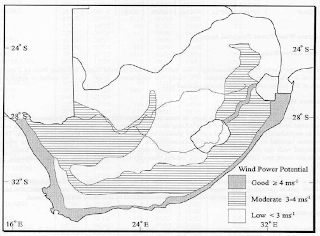 We are a moderate wind country so we will exploit the wind because it's the one proven technology we have and certainly we would look at solar as well…Now you tell me, what do we do, in a developing country like us where we need to attract energy intensive business, if I say to you I will provide you electricity whenever the wind blows…We in South Africa need energy that is continuously available throughout the year." - On nuclear energy -- Maya Aberman, Earthlife Africa: "We are approaching the uranium peak. We are going to spend billions to build all the power stations that won't be fully operational within ten years. But in fifty years there will be no uranium left anyhow." 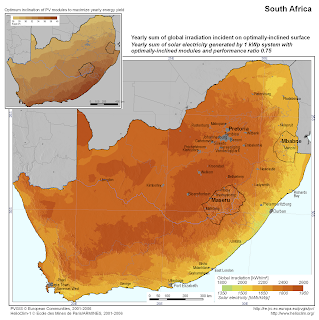 - On nuclear energy – Dames, Eskom: "Certainly the uranium reserves in South Africa are more than adequate to sustain a significant amount of nuclear capacity in the country…"
Ireland emitted 601 grams of CO2 /kilowatt-hour of energy use in 2006, down 5.6% from 2005. What else would you expect from the original green folks of the Emerald Isle? Al Gore spoke in Dublin recently and described Ireland’s role as “key.” The small nation is an emerging European tech power. The dilemma: As Ireland becomes more prosperous, more people own cars and the cars consume more energy and create more emissions. On the other hand, Wind is booming in Ireland. Solution: Build more wind and sell plug-in hybrid electric cars. Run them on Irish breezes. - The statistics covered the 1990 to 2006 period but many of the most interesting findings were from the current year’s changes. The report looked at Ireland’s performance by sector. All sectors except transport (up 7.1%) had reduced emissions. 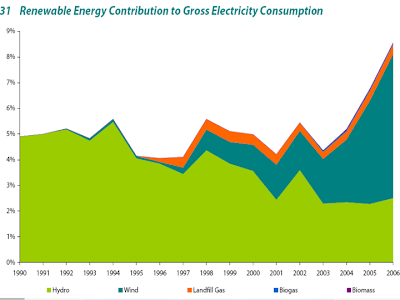 Transport sector energy use grew 167% from 1990 to 2006. - Wind energy use jumped 46% and is now 5% of Ireland’s total electricity generation. This cut CO2 emissions by 2.2 tonnes. - The industry sector had 0.6% higher emissions but efficiency was up 15% since the mid-1990s. - Transport accounts for 35% of Ireland’s energy-related emissions. By this time next year, deals like this will be so commonplace they will not be newsworthy. On the other hand, this story about the UN CDM awarding CERs for merely shifting from one dirty coal technology to another underscores the importance of the work done by international leaders at the recent Bali summit on climate change in pushing through TT CLEAR, an agreement facilitating New Energy technology transfer to developing nations like China and India. 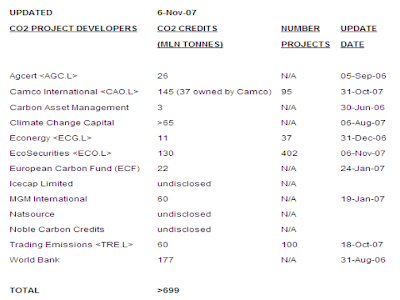 EcoSecurities and Deutsche Bank will buy Certified Emissions Reduction (CER) credits approved by the United Nations Clean Development Mechanism (UN CDM) from China Guodian. 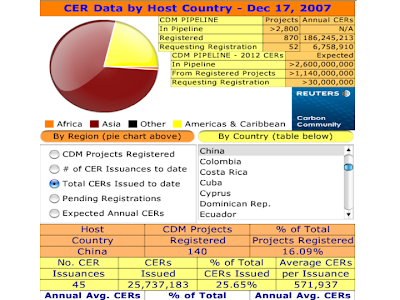 The UN CDM was established as part of 1997’s Kyoto Protocols to certify CERs. The CERs will finance 4 Guodian supercritical power plants in China. Those who purchase the credits will be allowed emissions wherever they are equal to those certified as saved by the plants. - The UN CDM certification indicates the supercritical power plants, using a more efficient type of coal-fired boiler, will save 3 million tons/year of CO2-equivalent. - The value of the CERs is estimated at 30 million euros/year. BOSTON LEGAL's Green Christmas: The great Denny Crane once again brilliantly makes the case for the other side. Congressman Inslee (D-Wash) emerged from the recent energy bill fight as one of the inspiring advocates for New Energy. A future leader. 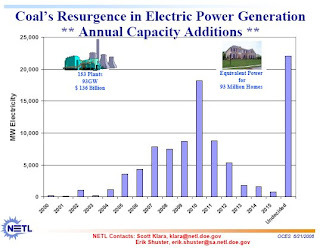 Yesterday, NewEnergyNews asserted that the ghost of Christmas future would be grumbling this year about the energy bill just signed into law by President Bush. Perhaps those grumbles are only the ghost of Christmas present. Christmas future may have something to be cheerful about. 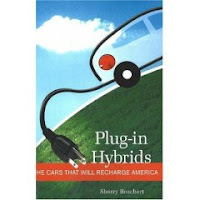 Reid Detchon, executive director, the Energy Future Coalition: "We're now in a transitional period in which biofuels and fuel economy is just a first step…The stage is set now for plug-in hybrid vehicles with biofuels as a primary fuel. 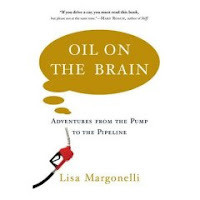 In that scenario, petroleum plays only a very small part." Throughout the 1950s, the Senate’s filibuster prevented civil rights and voting rights legislation from passing but Congressional leaders kept bringing it up year after year, proposing compromises, finding allies, urging moral commitment. Finally, in the wake of John F. Kennedy’s assassination and the heroics of the Freedom Riders in the South, Lyndon Johnson got Congress to act. The nation has never been the same. Perhaps the national Renewable Electricity Standard (RES) mandating New Energy does not have quite the same deep moral resonance as that legislation but it will affect the futures of as many people in as vital a way. It, too, has for years been defeated by the filibuster and recalcitrant, Luddite Senators. Will it take a traumatic environmental disaster on the level of an assassination to move them? Or is its time almost upon us? Jason Grumet, executive director, the National Commission on Energy Policy: "The US has shifted into a chronic state of action on energy…We've had a breakthrough not just on the substance of the energy issue…Now there appears to be a political pathway forward." Settling in on the eve of Christmas, let us dream: First, the ghost of Christmas past shows us the sins of 1970s fossil fools unwilling to begin building the infrastructure of the future; next, the ghost of Christmas present wanders through grumbling about coal-burning utilities; finally, the ghost of Christmas future shows us fields of wind turbines, oceans of wave energy converters and deserts blooming with solar energy arrays. Some are pleased with the energy bill signed into law by President Bush. Others (NewEnergyNews among them) find it inadequate to meet the nation’s needs. It raises mileage requirements for US automakers and incentivizes biofuel production. Incentives for New Energy sources of electricity are almost entirely lacking. But what got into the bill may signal changes yet to come. President Bush signed the bill December 19. It calls for US automakers to bring their fleet average mileage to 35 mpg by 2020 and for the US to produce 36 billion gallons of biofuels by 2022. That these provisions stayed in the bill may signal that other provisions may follow in 2008 or 2009. 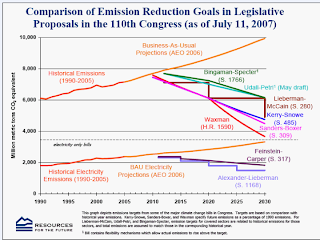 - Cap-and-trade legislation would require emissions be cut (15% below current levels by 2020 in the Lieberman-Warner Climate Security Act). Such action has significant support in the Senate and the business community, despite White House opposition. Debate is expected in early 2008. - California will take the EPA to court. Based on a previous ruling by the current Supreme Court, California – representing 17 states – may be able to win the right to impose stricter emissions controls on vehicles than those in this energy bill. - Nearly half of US states already have Renewable Electricity Standards (RESs) requiring utilities to obtain a per cent of their power from renewable sources by a designated year. The national RES passed the House in 2007 and only lost in the Senate because of the filibuster threat. Those resisting it will be forced to face the future again. - Congressional leaders are already looking for ways to place production tax credits (PTCs) and investment tax credits (ITCs) for New Energy into 2008 legislation. - The mileage requirements are likely to impel US automakers to do more development with cellulosic ethanol and plug-in hybrid vehicle technology. - Bracken Hendricks, senior fellow, Center for American Progress: "There's a fundamentally different dynamic in Congress now…The fact that an increase in fuel economy standards was able to pass by a 3-to-1 margin would have been unimaginable a year ago." OIL COMPANIES TO SHED SKINS? Stanislaw’s acknowledgement of the coming changes may actually register in the world of Big Oil where he is a long-time consultant and insider. He talked to them about what matters most to them, their bottom line. Stanislaw: “The world after oil represents the greatest economic opportunity of the 21st century. We are at the very beginning of a global race to create dominant green economies." He told the oil and gas audience they must decide if they want to be seen as friends or foes of the environment. Oil companies, he told them, must be “…far more active in fostering the technology that will enable a new energy era…We have no time to lose." Were they paying attention? 2008 knows. In "Climate Change and Energy Security: The Future is Now" Stanislaw acknowledged a “new energy era” in which the public is more keenly aware of climate change and energy security issues that impact their wallets. He proposed changes in Big Oil’s way of presenting itself and doing business. Stanislaw presented his report December 12 at an oil aqnd gas conference. He asserted that the 2005 hurricane season was the turning point in climate change awareness. 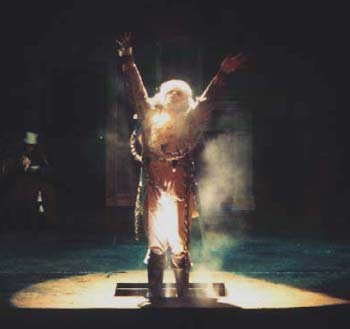 The conference at which Stanislaw spoke was in Houston, the capital city of the oil and gas world. 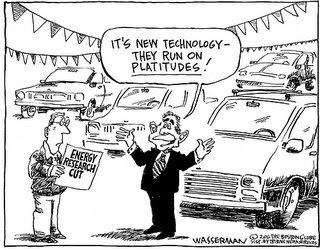 - He said venture capitalists have financed 1000+ start-ups in Clean Tech and New Energy. - He said consumers now pay attention to what and how they consume and they want new options. - He said consumers are conserving to cut costs and want products like hybrid cars for the same reason and pointed that this will affect Big Oil’s bottom line. - He described five adaptations by which corporations can facilitate a green economy: 1. new efficiency technology (energy audits, smart meters, smart appliances); 2. low-impact production processes (production as close as possible to the end market to cut transportation); 3. new "eco-chic" products and services (low-energy computers, cars, light bulbs); 4. "Greening" the brand (going carbon-neutral); 5. Developing New Energy alternatives. - Stanislaw, on what started the New Energy era: "Accurately or not, Katrina settled in the American imagination as proof of climate change, while underscoring the vulnerability of our energy supply system." - Stanislaw, on the impact of consumers: ‘Consumer behavior can substantially reduce consumption…demand reduction is potentially the largest source of supply. 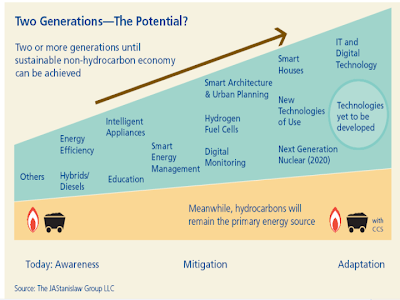 It is this drive towards efficiency—enabled by end-use technologies that sip rather than chug energy—that must be put at the heart of the new energy era." - Stanislaw, on the short term future: "Hydrocarbons will continue, of course, to absorb most of the $500 billion that the world invests each year in energy… energy superpowers such as Russia flex their muscles and as the might and market of China and India grow. And vast fortunes, both national and individual, will continue to be reaped from fossil fuels." 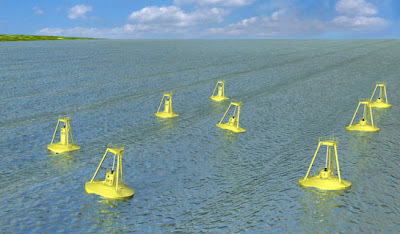 It will come as no surprise to readers of NewEnergyNews that wave energy is beginning to make its developers some money. But this is just a hint of what is to come. Buoyed by permits to extend its testing, OPT generated revenues of $1.7 million in the 3rd Quarter of 2007, a huge jump over the previous year. - August 2007:OPT signed a $500,000 agreement with PNGC Power for a test project. - Year to date, 2006: $900,000 revenues against $4 million losses. - PNGC Power serves Oregon, Washington, Idaho, Montana, Utah, Nevada and Wyoming. - The OPT test is 2.5 miles off the Reedsport, Oregon, coast. - OPT also has projects in Hawaii, Spain, France, the UK and New Jersey. - The Q3 revenue increase was a 204% over the preceding year. - OPT is publicly traded via NASDAQ (OPTT). 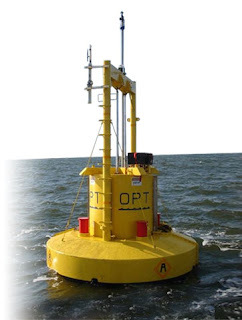 - For the Reedsport test, OPT will deploy a 150 kilowatt demonstration buoy. FERC issued a preliminary permit to develop 50 megawatts at the site. 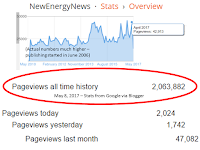 Pretty soon, NewEnergyNews is going to have to change its name to JustEnergyNews. 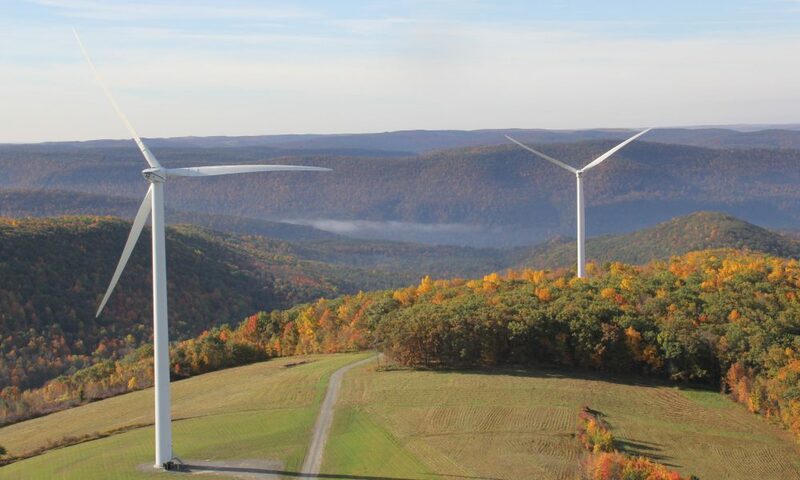 DEGS, subsidiary of Duke, is expanding its wind energy capacity with a big turbine buy from GE Energy. 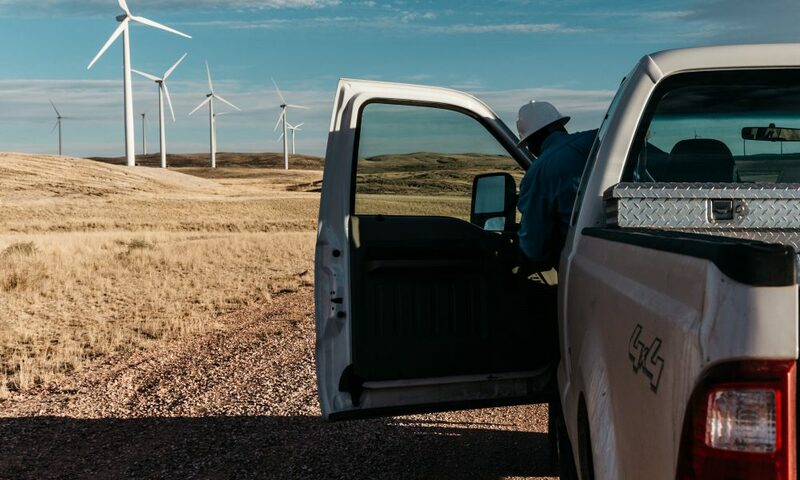 This follows DEGS’ acquisition of Tierra Energy and its 1000+ megawatts of wind assets. - The GE Energy turbines are expected to be put into service in 2009 and 2010. - 3 Tierra Energy projects representing another 240 megawatts of wind energy are expected to be put into operation in 2008 and 2009. - The GE Energy turbines will be placed at sites still “under review” in western and southwestern states. - Tierra Energy is based in Austin, Texas. The 3 projects coming online are in Texas and Wyoming. - Duke Energy is based in Charlotte, N.C., and is traded on the NY stock exchange. 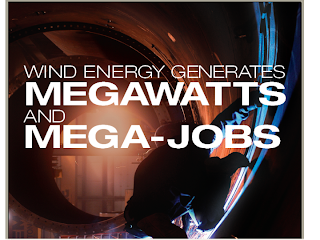 - The 100 1.5 megawatt turbine purchase represents 150 megawatts of electricity capacity. - DEGS develops, owns and operates electricity generation for municipalities, utilities, industrial facilities and other big energy consumers. It specializes in developing New Energy and environmentally sound energy from natural gas, coal, waste coal, wood and renewables. - Duke Energy is one of the biggest utilities in the US. It has 4 million+ customers and 36,000+ megawatts of electricity capacity in the Midwest and the Carolinas. It also supplies natural gas in Ohio and Kentucky. As well as 4,000+ megawatts of electricity capacity in Latin America. - van Kempen, DEGS: "Growing our wind power portfolio underscores our commitment to reduce carbon emissions across the United States…"
- David Marks, DEGS: “Our agreement with General Electric increases our investment in the wind business and further expands Duke Energy's renewable energy fleet…"
President Bush: "We make a major step ... toward reducing our dependence on oil, fighting global climate change, expanding the production of renewable fuels and giving future generations ... a nation that is stronger cleaner and more secure…"
Politics is the art of the possible. 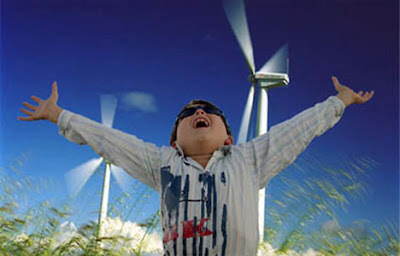 NewEnergyNews’ vision of what is possible and what is needed differs radically from the President’s. 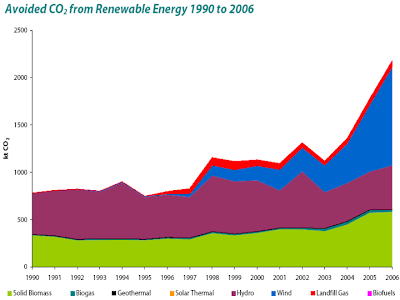 The lack of a Renewable Electricity Standard (RES) requiring utilities to obtain a percent of their power from renewable sources by a date certain and the absence of production tax credits (PTCs) and investment tax credits (ITCs) for New Energies means the bill is simply inadequate to meet the needs of the future. It serves only Old Energy. Any argument the White House could make in favor of this bill’s provisions for mileage standards and biofuels production applies even more to an even more pressing problem, the development of New Energy. In the fossil fuel industries, it will be a happy holiday this year. For those who see the urgency of a New Energy infrastructure, the ghost of Christmas future is grumbling. President Bush signed into law the energy bill passed by the Senate and the House in December after a year-long legislative process. It boosts vehicle mileage standards, requires huge increases in biofuel production and funds efficiency measures. - The big provisions of the bill are a requirement for US automakers to move their fleet mileages up to 35 mpg by 2020 and a requirement for a 6-fold increase in the use of biofuels by 2022. The hope is that the new mileage requirements and biofuels requirements will drive the free market toward breakthroughs in vehicle efficiency technologies. - The White House calls the bill a “major step “ toward energy independence and fighting global warming. - Automakers see the legislation as establishing certainty for product-planning. It also protects them from more rigorous standards set by individual states. - Funding is provided for encouraging a transition to new light bulbs and efficient appliances. 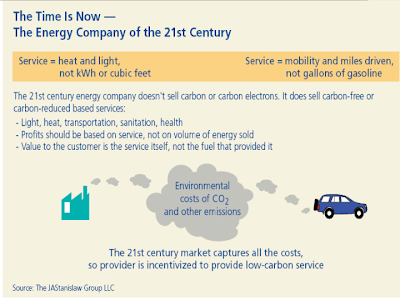 - Brendan Bell, Union of Concerned Scientists: "If you drive a car or if you use a toaster or heat your home, this bill is going to save you money…This is billions and billions of dollars for consumers…"
- David Cole, Center for Automotive Research: "[Automakers] know the energy picture isn't good…They believe the technology is here to enable [meeting the biofuels and mileage requirements]… "
- Phil Reed, Edmunds.com: "It's really good news for consumers…Domestic manufacturers have been marketing SUVs so heavily because they think they are the only things that will sell. Small cars are treated like econoboxes. This bill is going to encourage them to look at expanding this market and figure out a way to build small cars which are also very exciting and the consumers really want to buy." From the “these-things-DO-happen” file: Mandatory safety upgrades were not done on an older nuclear reactor so it was shut down. Nuclear energy advocates will argue this is a success proving operating safety measures. No harm was done, no radioactive substances were released. Opponents will point out that overlooked safety measures only indicate the potential of a nuclear reactor to fall afoul of human error and cause great harm. 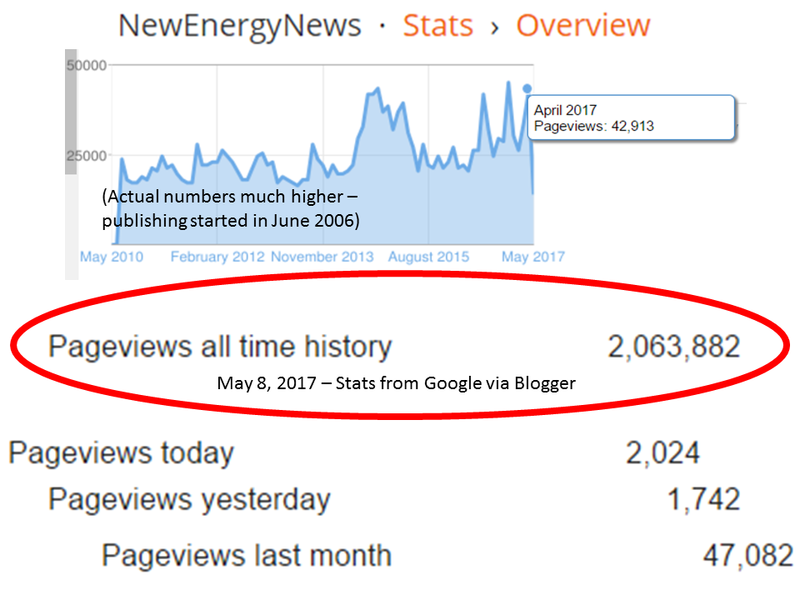 NewEnergyNews has looked thoroughly at the options before us and can only conclude that our greatest efforts must be to build New Energy. Wind and solar and marine energies may be expensive but they work now, will get cheaper and more efficient and carry minimal risk or harm. “Clean” coal remains an oxymoron, a topic for researchers. Nuclear reactors must be rigorously maintained for the coming several decades until New Energy is built. But nuclear energy must be recognized as a weapons proliferation risk, a terrorist target, a huge consumer of dwindling water resources and a producer of waste with which there is nothing to do. Finally, if the statistically remote possibility of a Chernobyl-like meltdown resulting from a human error like the one reported below wasn’t significant, why would the cost of insuring a new facility be prohibitively high? Harper accepted Burns’ resignation following the Canadian Parliament’s intervention in the operations of the Chalk River nuclear reactor though the PM blamed CNSC’s appointees from Harper’s opposition party. This reveals a danger from nuclear energy not often discussed: The possible hazardous release of hot air from politicians. - The 50-year-old reactor was shut down November 18. Parliament pushed through emergency legislation December 13 to restart the reactor. It returned to service December 17. - Burns, a Tory fundraiser, was appointed to the top job at AECL by Harper's government in October 2006. Burns’ resignation will be effective December 31, 2007. - The Chalk River reactor is in Ontario. 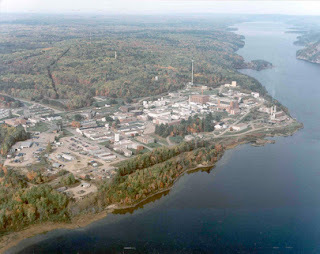 - 2/3 of the world supply of medical isotopes come from Chalk River. - Perhaps the worst consequence of this shutdown was the interruption of vital medical isotopes supplies used in medical imaging and diagnostic scans. - When the reactor was shut down for routine maintenance, regulators discovered mandatory safety upgrades, including a battery-operated starter for emergency cooling pumps, had been overlooked for 17 months. The reactor shut down was continued, in protection of its license. - Parliament passed emergency legislation to override the safety requirements so the reactor could be put back online and the needed isotope supply restored. - Prime Minister Harper was angered by the chain of events. The matter turned into a political drama when Parliament stepped in. Burns was the fall guy. Harper, on the controversy: “I think it is ridiculous that the government can only resolve an escalating dispute between these two agencies by actually coming to Parliament and passing a law…"
- Liberal MP Omar Alghabra (Mississauga-Erindale): "[Blaming the CNSC] is the height of irony and it just exposes that there continue to be deep problems at AECL…"